Africa’s smallest mainland nation, The Gambia sits on the western coast of West Africa, surrounded by Senegal. The long and narrow country hugs the banks of the Gambia river as it winds its way out to the Atlantic Ocean and is less than 50kms wide at its widest point. 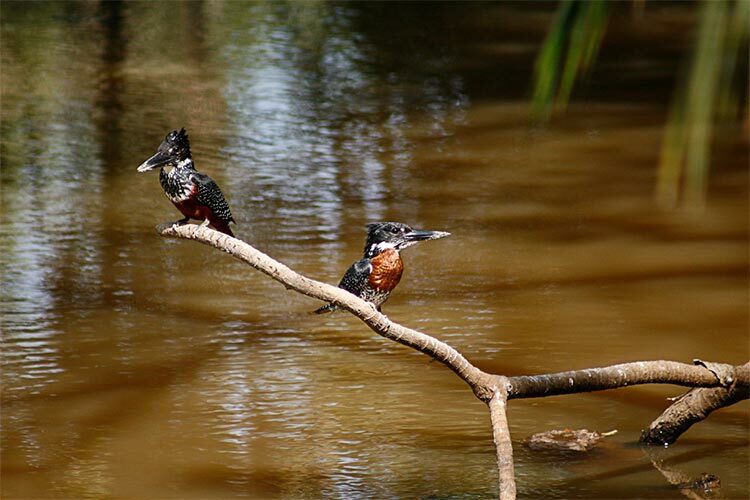 The relationship the country has with the river is felt throughout the nation, providing The Gambia with lush, fertile grounds that compliment its year-round tropical climate. Historically, The Gambia was an important site for slave traders in the transatlantic slave trade and was in fact the site where slaves were returned after the British abolished their slave trade. Today the country sees a rapidly growing tourism industry, with the development of high class resorts including several golf clubs and high end hotels. 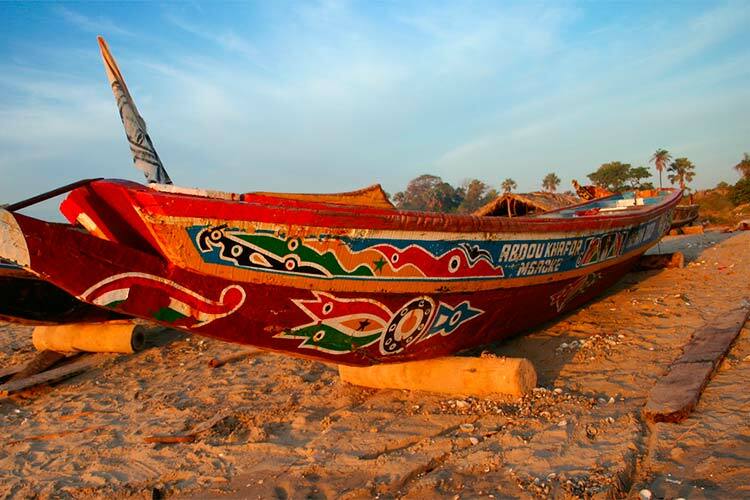 The Gambia’s main attractions are its abundance of wildlife and its vibrant and contagious love of art, culture and dance, synonymous with Africa. Formerly known as Bathurst, the city of Banjul is the capital of The Gambia and is located on St. Mary’s Island. In the 17th century the island was leased by Great Britan from the King of Kombo, for 103 iron bars per annum and established as a trading post and base for the aforementioned slave trade. The city was named Bathurst after Henry Bathurst, the secretary of the British Colonial Office until its name was eventually changed to Banjul in 1973. The city is the administrative and economic centre of the country, and the seat of the government. Although the city itself is not strictly known as a tourist destination, it has a number of attractions and a unique character that make Banjul a must when visiting The Gambia. Banjul is serviced by the Banjul International Airport, a former World War II allied airfield, which is a few kilometres away from the city centre. Interestingly, Banjul was the site of the first visit to Africa by a sitting American president; Franklin D. Roosevelt, the President of the United States during World War II, stayed in Banjul for one night, as the airport was a stopover for the U.S. Army Air Corps at that time. Traveling towards the city centre, you’re met by a mélange of crumbling colonial structures, busy streets and a few modern buildings. 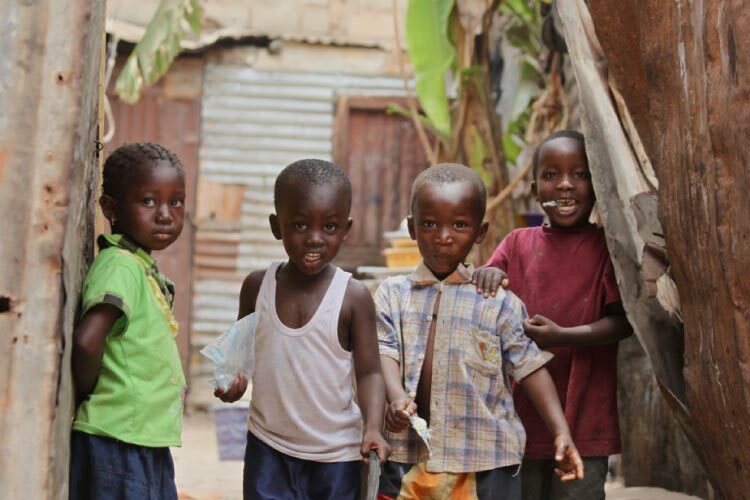 Along with the architectural welcome, you’ll also be ushered in by a host of smiling faces that as always common in The Gambia! The first point of interest while approaching the city is Arch 22, which stands along the highway. It is one of the tallest structures in the country and was built to commemorate the military coup in 1994. The arch has three floors and provides a fantastic view of the city, the seaport and the mangrove forests of the Tanbi Wetland Complex. 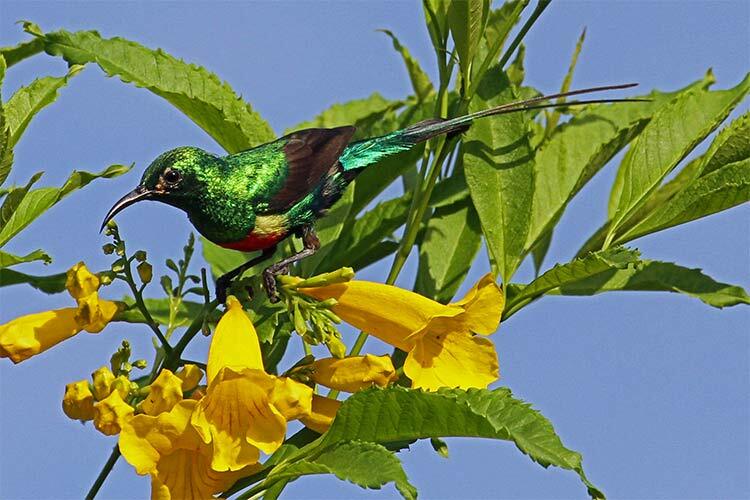 Known as a “bird watchers” paradise, the Tanbi Wetland Complex plays host to numerous species of birds; with over 560 species of birds calling The Gambia home, this beautiful nation is fast becoming a bird watching hotspot. To find out a little more about its history, a visit to the National Museum comes highly recommended. Artifacts, photographs and ethnographic items, important to the history of the city and the country are displayed. Before leaving, visit the Albert Market where you will find stalls stacked with numerous stalls where you can practice your bargaining skills or enjoy mingling with the locals. With so much to do in this vibrant country, don’t miss this wonderful capital city on your way through.